By now you most likely realize what a unbelievable heap huge project our house has been. 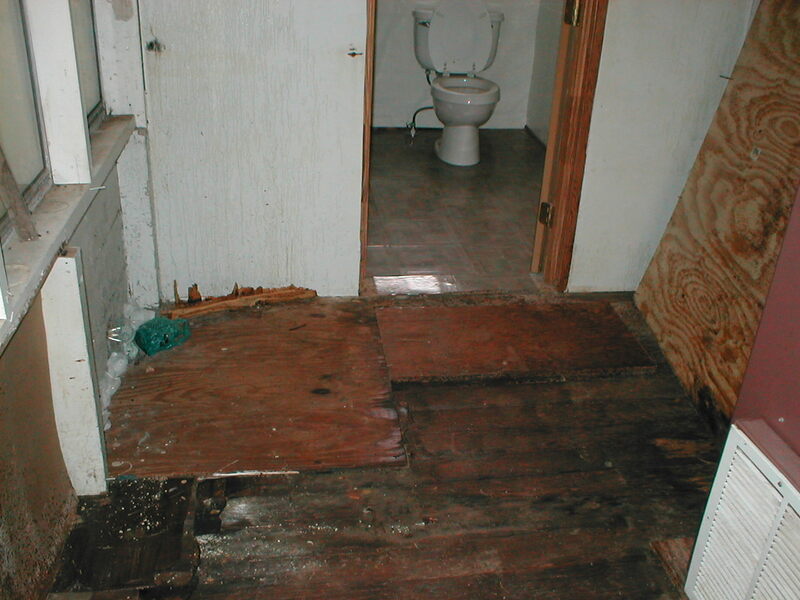 This area used to be a porch which had a really low ceiling, holes in the floor and storm windows all the way around. 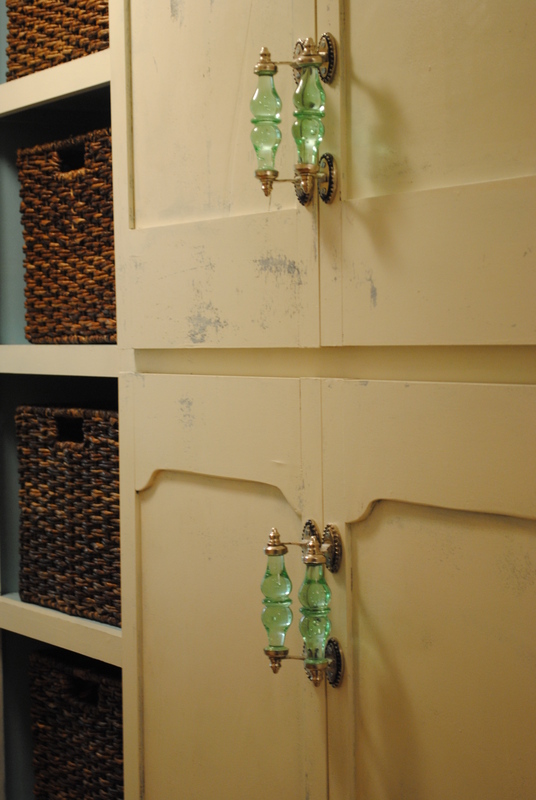 It is now a bathroom (which will be featured at another time), mudroom and laundry room and is one of my favorite areas we have re-done, I LOVE storage! 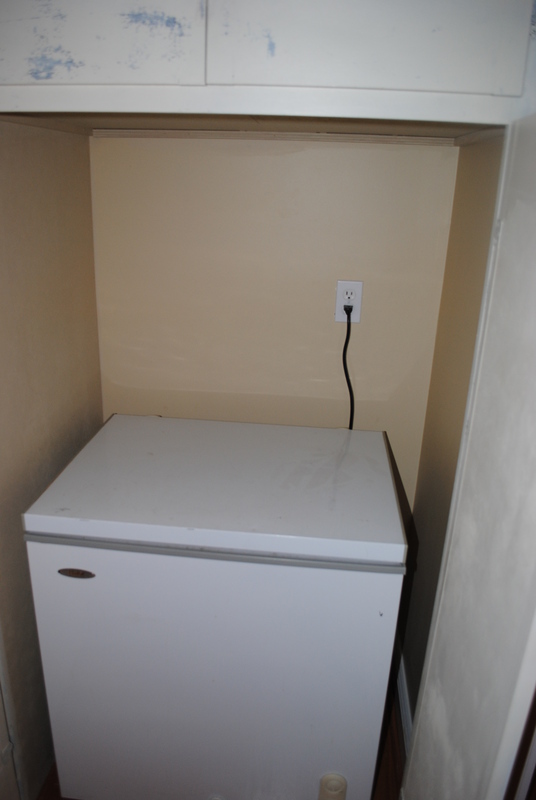 In an old house you have to get really creative with it, this was just wasted space beside our linen closet with that ugly useful little chest fridge sitting in it. 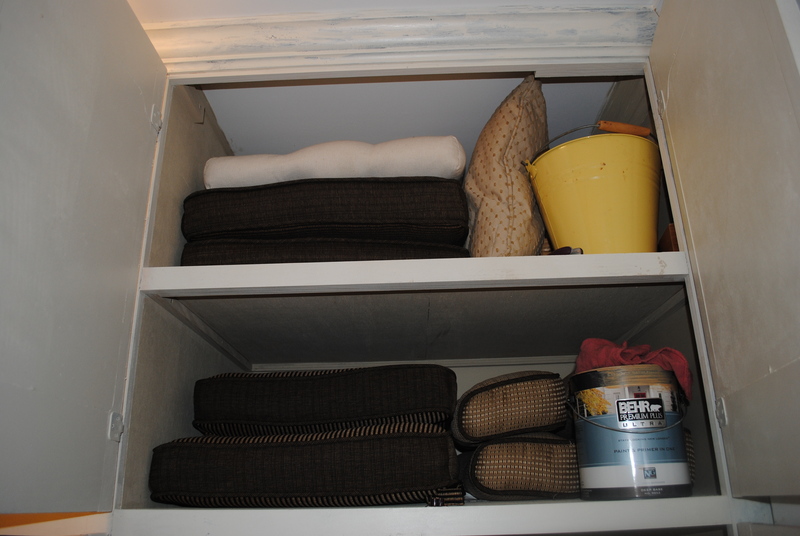 We use the baskets to store our toilet paper, gardening things, shoes and dog supplies, as well as outdoor cushions. The baskets are from target on clearance for $11 each (the cheapest I could find for what I would looking for) and the handles are clearance from Anthropologie for $7 each. I’m not sure how much Sean spent on the wood to build it and I already had the paint. The bead board in the hall is original to the house which we saved from tearing down the ceiling in this area. Julie I am loving these before and after house posts! I love the before and after shoots too! What a neat transformation of your little area..
Love this little area, I need to work on mine! Love it. Those handles are pretty cute, I like how they just add a really different touch! I just realized today that you are doing this house tour and I’m so glad! I absolutely love your house and I love following house blogs so I’m really looking forward to seeing all the rooms and hearing about what all y’all have done to it! Love those handles, what a fabulous job. Your before photo took me back to a home I redid many years back, eeek! haha eeeek is right and thanks!!! Wow! 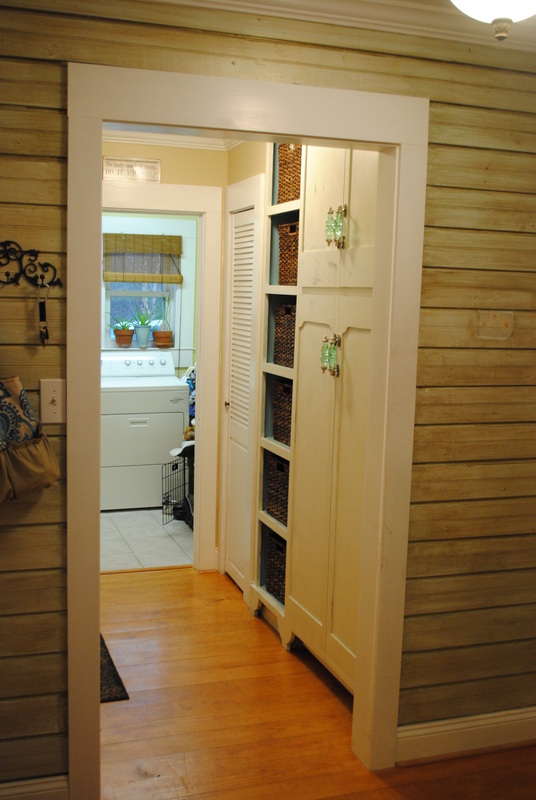 I saw your mudroom on Better After and just had to come check it out! You did a wonderful job! Love those handles!